ZPER is a blockchain-based ecosystem for decentralized P2P finance. ZPER Wallet. The wallet manages, exchanges, invests and repays ZPR and is used for investment and loan application. ZPERobo. It is possible to invest in products of P2P finance companies that have been transformed into tokens or make diversified investment in portfolios recommended by RoboAdvisors depending on the investors' preference. ZPER Open Market. It provides erveces to trade P2P receivables among investors, through which sellers can return their investment before the expiration of loans, while buyers can invest in different loans in time on conditions they want. 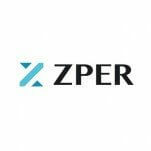 ZPER Zero, a service for students with no credit history. Established P2P financial platform FUNDA. MIDRATE of P2P financial platform established. Olley established P2P financial platform. Financial products recommendation platform FINDA was established. FUNDA cumulative loan achieved 30M USD. MIDRATE cumulative loan achieved 10M USD. Olley cumulative loan achieved 10M USD. White paper publication. Partnership with leading P2P financial companies and Robo-Advisor. Token Pre-Sale. Token Crowd Sale. Started development of ZPER platform SDK/API. Official Meet up. Launched ZPER wallet beta service. Listed on Exchange. PEROBO closed beta service. Official Meat up. Global partnership (3 countries). 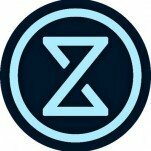 Launched ZPEROBO Official service. ZPER Open Market service bets test. Global partnership (5 countries). Opened ZPER Open Market Official service. ZPER Data Monetizer Beta Service. Expansion of overseas partnerships (10 countries). Opened ZPER Data Monetizer Service. Global partnership (15 participating countries). Expansion of global partnership (20 participating countries).